12 Pack - 3" x 5" Warrior GloTape Agent IR Reflective Markers are manufactured from the same material used for covert troop marking on the battlefield, but adapted for law enforcement bringing this tools advantage to DOJ personnel. Warrior GloTape Agent IR Reflective Markers are manufactured from the same material used for covert troop marking on the battlefield, but adapted for law enforcement bringing this tools advantage to DOJ personnel. These Patches are made from a specially-formulated material that only reflects infrared (IR) light when illuminated by light sources such as targeting lasers for covert marking. When viewed with night vision IR systems, the reflected IR light provides a simple marking method that identifies DOJ persons to team members at distances up to 800 meters. To the naked eye, GloTape appears to be similar to black duct tape in both texture and finish. 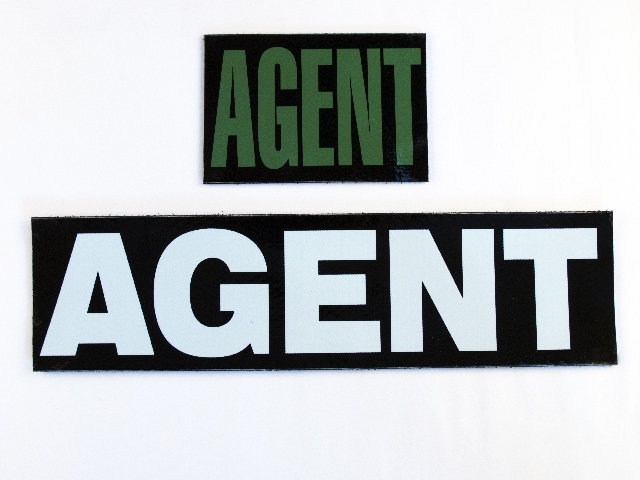 These patches are supplied with Velcro hook backing for attaching to uniforms or vests.